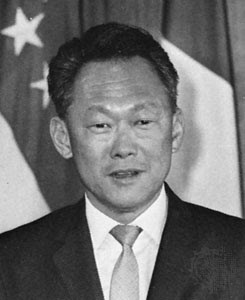 At the National Day celebration dinner in Tanjong Pagar, Minister Mentor Lee Kuan Yew spoke to his constituents and grassroots leaders about the importance of integrating foreign workers to support the future economy, as well as the criticality of immigrants to Singapore in light of the low birth rate and ageing population. 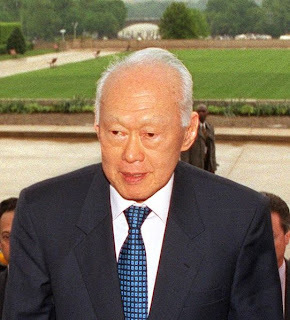 Firstly, it is definitely well known to anyone that understands the recent history of Singapore (let’s say the last 50 years), that this amazing man has been pivotal and almost singularly responsible for the success of Singapore as we know it today. It is because of the MM, that Singaporeans can enjoy such a good standard of living, compared to their forefathers. It is because of him that Singapore is one of the strongest and most vibrant economies in the world. But it should be also well noted, that economic landscapes change – in today’s environment we can no longer expect the same level of continuous growth by just doing the ‘same old, same old’. I therefore find MM’s speech very valid and topical – below you will find the full transcript. As usual, the tirade began last night on the well known ‘forum of hate’ that I so often punish myself to read… recently it’s been touted as a forum for socio-political rhetoric – I think that’s giving too much credit to the forum participants. On the topic of foreign talent, it always seems to be an issue of prejudice and/or xenophobia in this specific forum, rather than offering any solutions to overcome and manage the changing economic landscape. So my question of these forum members is this – one does not need to be Einstein to do the math. If we do not solve the problem of fertility rate and shrinking labour force through foreign talent and immigration, then what is the alternative solution? Specifically – If Not, Then What?? We have done well for the last 50 years since 1959. We overcame many difficulties in the early years (1961-1965). After we achieved steady growth in the mid-1970s, we met setbacks. We overcame them because, together as a people, we faced our difficulties squarely and worked together to resolve them. Had we evaded the problems, hoping that they would go away, we would have failed. 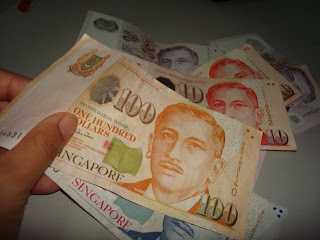 Singapore is likely to do well in the next 5 to 10 years. We can reach a new level of development. But difficulties will crop up and we must always face them squarely, work together and resolve them. I. The issue of new citizens and PRs. We have to welcome them. How fast can we integrate them and make them more like us? That depends on us, the citizens born and bred here, and also on their willingness to adapt and be part of our society. It is not easy to adjust to a different society, multi-racial, multi-lingual, multi-religious, with different customs and ways of life. They have left family and friends and taken a leap into unfamiliar people without a network of relatives and friends. They remain disorientated for many months, before they can get into their stride and go with the flow of Singaporeans. We need immigrants to make up for the children we are not having. Between age 25 and 40, over 30% remain single and childless. Those who marry are not replacing themselves - all races together an average of 1.28 children, Malays 1.91 children, Indians 1.19 children, Chinese, the lowest: 1.14 children. They do not want their careers to be disrupted and believe it is not worth paying the high fees of educating their children in private kindergartens and have private tuition. If we do not have educated Malaysians, China Chinese and India Indians and others from the region, our economy will decline. Our labour force will shrink. In Asia, Japan’s fertility rate is 1.37. Their population is ageing and declining, from 120 million to 90 million in 2055. They refuse to accept immigrants, so their economy is feeble and lack vitality. They had four injections of vast sums to stimulate their economy recently, but the economy did not move. Their situation will only worsen as the population ages and declines. In 2000, they had 3.6 working adults supporting one elderly person. This ratio will drop to 1.2 by 2055. There will be severe consequences for the country and future generations of Japanese. But our fertility rate is even lower than Japan’s. Without immigration, the ageing problem will be too heavy a burden for our young. Immigrants who can be integrated without upsetting the racial balance are in our interest. There are complaints about new citizens and PRs taking away jobs from our workers and that those in sales and service do not speak or understand English. Some of the new immigrants cannot speak or understand oral English, although many have learned written English and can read and write. They cannot compete against Singaporeans. Quite a few start their own businesses. However, their children will work hard and learn English with great zeal; quite a few are doing well. They will compete for prizes, bursaries, entrance to our universities, and for scholarships to study in Singapore and abroad. These children will grow up as Singaporeans. The government has decided to expand and have enough places in top schools, polys, universities, award bursaries and scholarships for children of old citizens. So they will not be disadvantaged in getting admission to polys or universities. Without the immigrants, Singapore will decline. We accept only immigrants who increase the average level of competence of Singaporeans. They must have skills and at least secondary school education, preferably tertiary-education. However, once they become citizens, they must be treated as equally as native-born Singaporeans, or our society will be fractured. Our new citizens can be integrated because most are from Malaysia, China, India, some Indonesians and Filipinos, and some Caucasian couples and Caucasians who have married Singapore citizens. Between citizens and PRs, we do make a clear distinction, in terms of HDB housing, hospital charges, education fees, government surplus sharing, Resilience Package etc. But we cannot make it so onerous that they will not come, eg, by requiring PRs or new citizens to be fluent in English, which even some existing citizens are not! The Government is very conscious of protecting the interests of our citizens. II. We are encouraging Singaporeans to speak more Mandarin and take scholarships to study in China’s top universities. We need 200 to 300 A-level students to be proficient in both languages and cultures to manage our work with China, both government-to-government and in the private sector. Many Singapore companies are in China doing business, especially in cleaning up their water pollution and in waste management. Companies, like Keppel Corporation and Hyflux, need people who understand the China Chinese, their ways of thinking, their customs and their business practices. We found that although we are Chinese and speak Mandarin, we are different in our work methods and mental make-up. We are westernised in our system and working style. We do not depend on “guanxi” or relationships. Our standards and attitudes to the rule of law are completely different. Do not be misled by the emphasis on Chinese language and culture. It does not mean we are displacing English as our working and common language, our first language. English will remain the master language for all Singaporeans. Our new immigrants from China know that in Singapore, without an adequate command of English, they will not go far. Hence, they are making the effort to master English as best as they can. And they are pushing their children to master English, otherwise they will be disadvantaged in getting places in our good schools and universities, and in getting scholarships and eventually jobs. English will remain Singapore’s master language. The command of English is a decisive factor for the career path and promotion prospects of all Singaporeans. For Chinese Singaporeans, Mandarin will be an added economic advantage with a thriving economy in China for many years to come. 70% of the foreigners in Singapore are here temporarily on renewable long-term passes, mainly Employment Pass, S-Pass and Work Permit. The other 30% are PRs. The economy needs foreign workers, so that we can grow faster when conditions are favourable, and to buffer the shock when conditions turn. This year, many of the job losses have been foreign workers rather than citizens. In fact, among residents (citizens and PRs) there are net job gains in the first half, despite the -6.5% growth! Had we not had the foreign workers, more Singaporeans would have lost their jobs. For our resident population, we are conscious that we need to keep the character and values of Singapore society. So we are carefully controlling the inflow of PRs and new citizens, to maintain this balance. But still the new arrivals will need time to adapt and integrate into our society, and we should help them. In 2008, there were 1.68 million foreigners in Singapore. Amongst them, 1.2 million were non-residents (70%) and 480,000 were PRs (30%). The 1.2 million non-residents comprised those on Employment Passes, S-Passes, Work Permits, Dependants’ Passes, Student’s Passes and Long Term Visit Passes. PRs who misbehave and create problems may have their PR status revoked. Agree very much. Therein lies the danger of too much democracy - tyranny by an unenlightened majority.